Cave paintings and maps show an early form of data visualization of information, followed by scientific representations like 16th century mathematician Christoph Scheiner’s brilliant mapping of sunspots. But in the 18th century academics dismissed anything that resembled an illustration as “trifles,” only useful for working through concepts and not presenting them. It took Scottish inventor and economist William Playfair, who had very little regard for tradition, to push limits and invent graphical charts like the line graph, bar chart, and pie chart. Playfair specialized in combining sources of data to form a story and under his artistry, data came alive. At the time he theorized that the brain processed images faster than words. He was right! We now know that humans process visual information 60,000 times faster than text, and information coupled with illustrations increases information recall by a whopping 82%. For savvy marketers, learning how to incorporate infographics offers a chance to stay ahead of information overload. It certainly helps that visuals are 40 times more likely to be shared on social media, according to the visual below by Daily Infographic. I’m crazy for infographics because they go viral on Pinterest. They stand out visually in the feed, and people love to save them for the great information. 7 of my top 10 posts for organic Pinterest traffic are infographics! If you’re past the novice stage of making your own graphics, I strongly encourage you to try making infographics. Even without a design background, marketers can take advantage of design tools that help to share data in an engaging and visually striking way. Creating a powerful visual story leaves a lasting impression, quickly absorbed. Create infographics from pre-designed templates to make it fast and easy! Disclosure: I’ve tested the following design tools so I can make these suggestions. If you decide to pay for a plan, I may receive a referral fee. If you already use a design tool like Canva or PicMonkey, start there! They have some infographics templates, and since you’ve worked with the tool before, it’s your easiest way to get started. Peruse their designs and see if something appeals to you, and suits your brand and your concept. Most tools like the ones mentioned above are fine for “infographics” that don’t have a lot of data. But what if you need to share lots of stats on your infographic? Here’s one that makes it easy with direct data import from your spreadsheets! To access an incredible range of infographics templates, check out Venngage. They have hundreds of templates, AND hundreds of charts, maps, and icons. Thousands of icons, pictograms and illustrations. Upload your own images from your computer or the web. 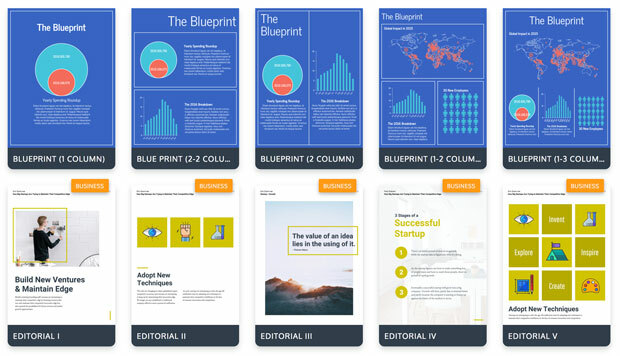 Just drag and drop those elements into your chosen infographic template, or create your own infographic from scratch. So many options that you can customize as little or as much as you like. 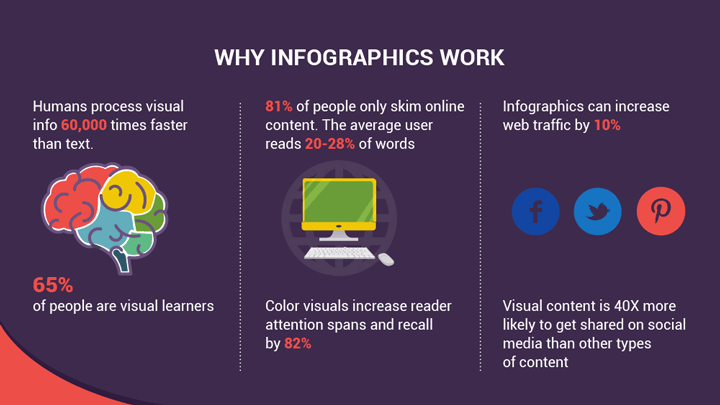 There are so many types of infographics, you may wonder which to use to tell your story! Watch this fun video from Venngage to learn 9 types of infographics and when to use them. Try Venngage at no charge. If you like it, the Premium plan is only $19 paid monthly, and the Business plan offers even more features for $49 paid monthly. Save even more! I’ve negotiated a one-time-use 20% off code for my readers. Use LOUISE20 when you purchase. Pay for a year in advance to maximize your savings! How well humans process visual information. Why marketers like me love using infographics. How you can make your own infographics! 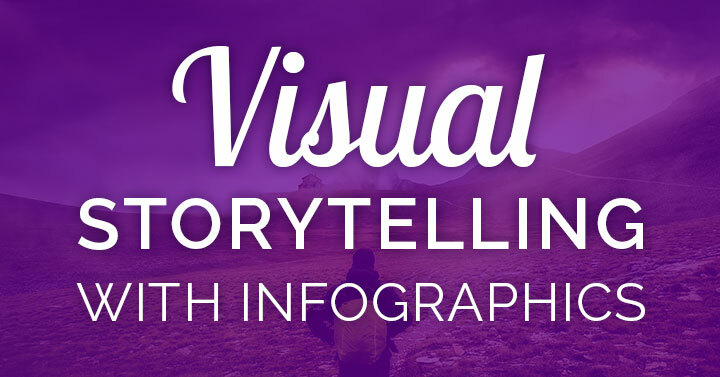 Ready to make your own infographic to tell a story your audience will love?